As the Olympics in South Korea come to an end, Chaparral Ice continues to find itself in the news. Some great articles about the history of Pro and Youth Hockey in Texas, the unlikely curling adventures to be hand in Austin, and some perspective on Women's figure skating. Wichita, Kansas January 28, 2018 - The Stars of Austin synchronized figure skating team the Austintatious Stars placed Second in their appearance at the U.S. Figure Skating Midwestern & Pacific Coast Synchronized Skating Sectional Championships. The adult synchronized skating team beat out five teams to secure the Silver Medal. The Austintatious Stars, who were one of two teams from Texas, skated a free skate program that received second place standings in their division throughout the midwest. The competitive adult figure skating team is part of the Stars of Austin Figure Skating Club and consists of Thirteen figure skaters, including coaches Dawn Dudley and Cathryn Tremewan. “13 ladies... 13 buns... and 26 blades... That’s what it takes to be a top medalist. Chaparral Ice has been at Burnet Road and Anderson Lane for more than 20 years, but about a year ago, hockey lover and coach Ryan Raya bought the facility. He’s added heaters, a sports bar and lots of easy ways to check out ice sports. With the Olympics around the corner, Raya came by the Statesman studio to tell us what draws people to figure skating, hockey and, yes, even curling, and why Texans might misunderstand winter sports culture. Austin is loving our Lone Star Curling Club! They are on Austin Network TV leading up to the Olympics. Check it out! Stay Safe Walking on Ice! Our very own Kathy Goeke, Skating Director, was asked to be the regional expert on safety during ice conditions this winter on KVUE! Chaparral Ice sent seven teams to the Silver Sticks, and all seven made it to semifinals, with four advancing to finals. Two teams, specifically Chaparral Ice’s 12U B team and 16U A team, won it all in their divisions and are headed to Ontario in January to compete against the best teams in their division from Canada. 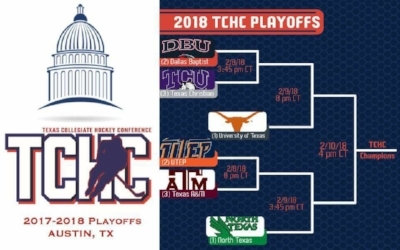 This is huge for the hockey community in Austin, especially considering how small they are compared to teams in other parts of the country where there are more resources and people interested in the sport. Right now, they’re fundraising to get travel costs covered before 2018 – The 12U B and 16U A teams, coached by Dan Sutterman and CJ Demmons. CEDAR PARK, Texas – The Texas Stars, American Hockey League affiliate of the NHL’s Dallas Stars, announced today they are partnering with Chaparral Ice Center, Austin’s only year-round ice skating facility to expand the availability of postgame ice skating for fans by adding six more games during the 2017-18 season and offering $5 skate rentals for after those games. The Stars already announced that Dec. 30 against San Diego and April 14 against San Antonio would be postgame open ice games. Fans will still be allowed to walk on the ice during designated postgame open ice nights with the Stars, but for those who would like to skate, Chaparral will be providing skate rentals for $5 during each game by signing up at the Chaparral Ice table before the end of the second period. Skates can be picked up before hitting the ice, and Chaparral Ice will also have a designated area on the ice for hands-on skating instructions. Deep in the heart of football-crazy central Texas, a seed was planted eight years ago. When the Texas Stars landed in Cedar Park in 2009, they sparked a renewed interest in youth hockey that has become a symbiotic relationship between the AHL club and the local youth leagues. In a state where football is a way of life, youth hockey participation in Austin has grown 42% since the Stars arrived. No one has a better view of the success of youth hockey in Austin than Angie Vaught, the general manager of the local Chaparral Ice rink and hockey director for the Austin Metro Hockey League. A native of Winnipeg, Manitoba, Vaught grew up playing hockey in Canada and later moved to the United States and competed with the Americans in the 2002 Ringette World Championships, a sport similar to hockey. CHAPARRAL ICE HAS BEEN PART OF THE HOCKEY COMMUNITY IN AUSTIN FOR OVER TWENTY YEARS. ORIGINALLY STARTED BY THE COLLINS FAMILY, WHO WANTED TO SEE A PLACE FOR THEIR CHILDREN AND OTHERS IN THE COMMUNITY TO FIGURE SKATE, NEW OWNERSHIP WITH A HOCKEY BACKGROUND HAS REINVIGORATED THE LOCAL RINK AND SET OUT A PLAN TO FURTHER GROW HOCKEY IN AUSTIN. THE MAN BEHIND THAT PLAN IS RYAN RAYA. IN JANUARY, HE COMPLETED THE PURCHASE OF THE RINK FROM THE COLLINS FAMILY AND PUT INTO MOTION NUMEROUS PLANS TO GROW THE GAME AND ALL OF THE PROGRAMS AT "CHAP".